TunesKit is one of the leading software providers in the world. TunesKit recently unveiled a new iOS utility application called TunesKit iPhone Data Recovery. This software helps the iOS users to quickly and easily recover the deleted or lost data on iPhone, iPod or iPad including the new iOS 11.4 and iOS 12 beta. iTunes backup and iCloud backup are the commonly used methods to recover data from iPhone. If you are unable to recover the data using the traditional methods, you must use a good iPhone data recovery tool to get your data back! In this article, we review TunesKit iPhone Data Recovery software for Mac and we’ll see its best features. 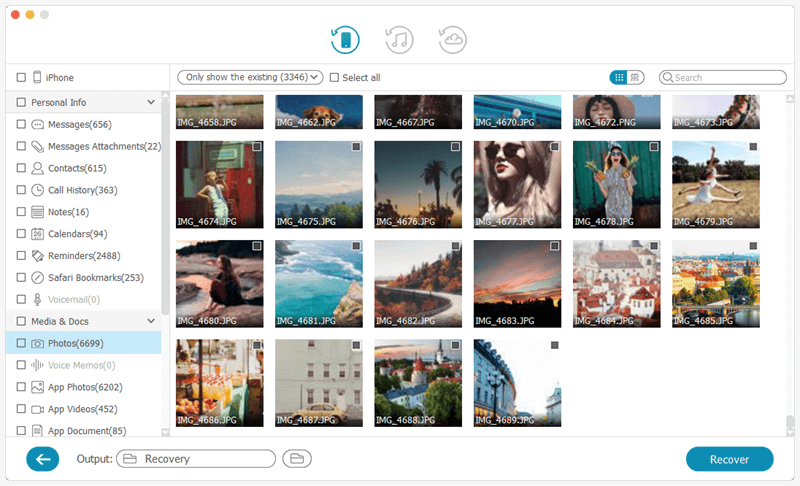 What is TunesKit iPhone Data Recovery software for Mac? TunesKit iPhone Data Recovery utility app helps to recover videos, photos, WhatsApp chats, messages, Kik attachments, Viber, contacts, notes, call history, Safari browser history, bookmarks, etc on your iPhone. It doesn’t matter how you have lost those files. This data recovery utility works efficiently in recovering the data in the easiest and quickest way possible. It can instantly recover over 20 types of data on iOS devices. It has 3 recovery modes which assure the best data recovery rate. Recover from iDevice, Recover from iCloud Backup and Recover from iTunes Backup are the 3 smart recovery modes. You have to choose the suitable recovery method depending on the data loss situation. TunesKit Data Recovery software also allows you to select the specific files you want to recover, instead of recovering the whole backup which takes more time and storage space. It recovers lost data on your iPhone irrespective of the causes of data loss. No matter whether you’ve lost your device, system crash, jailbreak failure, water damage, accidental deletion, wrong password lock, iOS upgrade or downgrade etc. TunesKitRescue All Kinds Of Lost Data on iPhone with TunesKit iPhone Data RecoveryTunesKit is one of the leading software providers in the world. TunesKit recently unveiled a new iOS utility application called TunesKit iPhone Data Recovery. This software helps the iOS users to quickly and easily recover the deleted or lost data on iPhone, iPod or iPad including the new iOS 11.4 and iOS 12 beta. iTunes backup and iCloud backup are the commonly used methods to recover data from iPhone. If you are unable to recover the data using the traditional methods, you must use a good iPhone data recovery tool to get your data back! In this article, we review TunesKit iPhone Data Recovery software for Mac and we’ll see its best features. 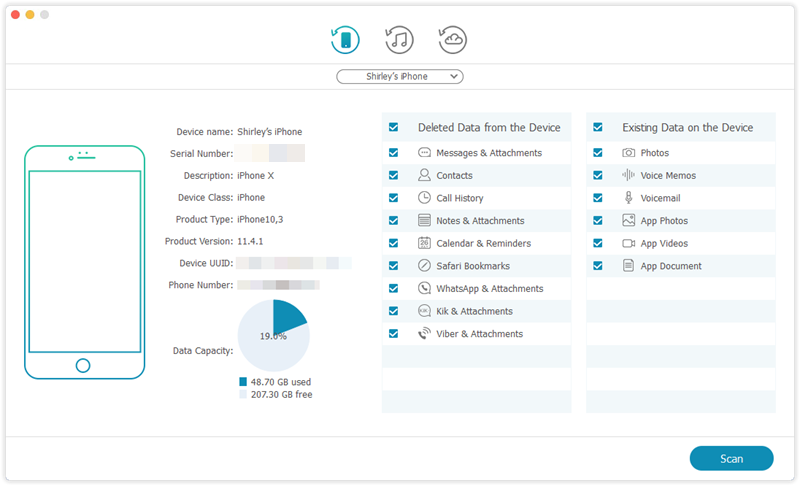 It recovers lost data on your iPhone irrespective of the causes of data loss. No matter whether you’ve lost your device, system crash, jailbreak failure, water damage, accidental deletion, wrong password lock, iOS upgrade or downgrade etc. TunesKit iPhone Data Recovery Mac has got three smart recovery modes which can recover the deleted or lost data in all kinds of scenarios. Recovers 20 types of data with just 3 simple steps. It provides a detailed preview of all the lost files. It’s easy to select the files which we want to recover and need not waste the time recovering the whole bunch of lost files. There is a 24/7 customer support and 60 days money back guarantee in case you are not satisfied with the software. How to Recover Deleted or Lost Data using TunesKit iPhone Data Recovery for Mac? It just takes a few clicks to recover the lost data from iOS devices using TunesKit iPhone Data Recovery. The user-interface of the software is simple which allows the users to complete the recovery process in just 3 steps. Firstly, you have to chose the recovery mode. Then select the lost data type and scan and lastly recover them back to your Mac. Here are the instructions to recover lost data using TunesKit iPhone Data Recovery for Mac. 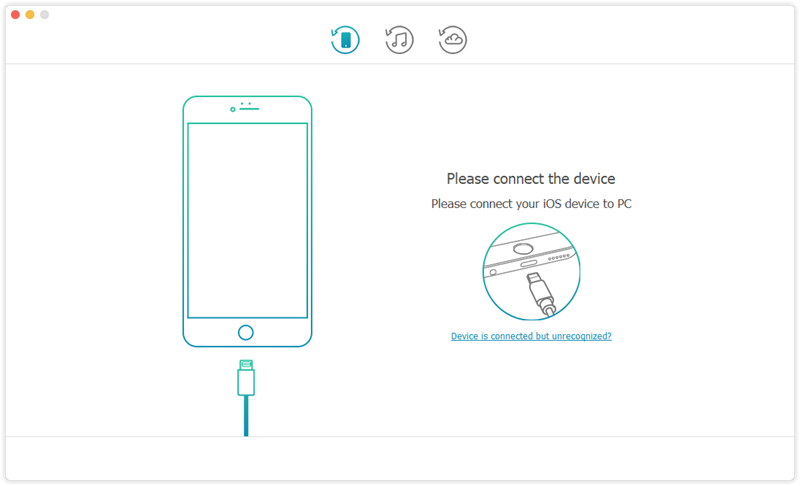 Step 1: Connect your iPhone to Mac with data cable. Tap the Trust option on your iPhone/iPod touch/iPad to authorize your Mac. Open TunesKit Data Recovery for iPhone on your Mac. Select the Recover from iOS mode. It takes a second and detects your iPhone/iPod touch/iPad information automatically. Step 2: You’ll see all file types in the main interface of TunesKit Data Recovery for iPhone. Choose the ones you want to recover. Click on Scan button and the app will start to scan and find the lost data on iPhone/iPod touch/iPad. Step 3: The scanning process takes a few minutes and it depends on the amount of data we are trying to recover. Once the scanning process is done, it shows up the lost and existing data categorized clearly. You can just go through the list and select the ones you want to recover. Click on Recover button and all the selected files will be saved on your Mac within no time. Accidental data loss is huge distress for people, especially in this digital age. We use our mobile devices to store important information like photos, messages, music, documents etc. TunesKit iPhone Data Recovery tool recovers the lost data on your iPhone or iPad within minutes. The best part is it is easy to use and it is not expensive compared to its competitors. With lifelong software updates and 24/7 customer support, TunesKit iPhone Data Recovery tool is definitely worth trying!